Exorbitant prices of gastric bypass surgery in the West can force many suffering from obesity to put their plans of getting the procedure on the back-burner. By traveling to Gurgaon in India for gastric bypass surgery, residents of the US, Canada, the UK, Africa and the Middle East can get respite from obesity for heavily discounted prices. Gurgaon, a satellite city of the Indian national capital New Delhi, is fast emerging as a value-for-money medical tourism destination. We, at Bariatric Surgery World, are associated with leading hospitals in the city which boast of excellent facilities and are prominent places on the country’s medical tourism map. How Much Will the Surgery Cost in Gurgaon? The prohibitive costs of gastric bypass in the West (almost $20,000 to $22,000 in the USA) can be beyond the financial reach of many. 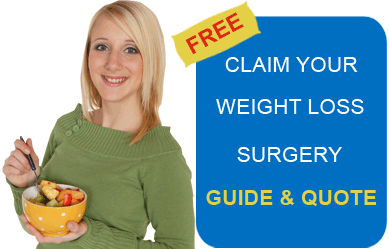 We offer gastric bypass across India for prices starting from $7,000. This implies cost savings to the tune of 70%! We recommend that you send us the estimate-form on the right for a solid quote. It is a restrictive form of bariatric surgery for treating morbid obesity. It is also known as Roux-en-y gastric bypass surgery, Roux-en-Y or simply RNY surgery. In this process, the stomach is divided and rerouted to the small intestine. This reduces the capacity of the stomach to hold food. Rerouting helps in bypassing the stomach and the highly absorptive portion of the intestine, thus helping cut down the absorption of calories. Patients with BMI 35 and suffering from serious co morbid conditions are also considered. Sometimes surgeons may accept patients with BMI 30-35 as well. The surgery must be combined with a dedicated diet and exercise plan; it can help in reducing 70-80% of the extra weight. Listen to this surgeon’s interview for more information on Laparoscopic Gastric Bypass surgery. Airport: Most of our network hospitals are at an approachable distance from the New Delhi Indira Gandhi International Airport (airport code: DEL). Gurgaon is only about 15 km (~9 mi) from the international airport. Climate: Extreme climate. Summers are hot and humid with an average temperature ranging from 25o to 45o Celsius. Winters are cold, with temperatures ranging from 2o to 5o. Best time to visit: Between February to April and August to November. Getting around: Local buses are available for traveling within the city, but they may be sometimes too crowded. Metered taxis and autos are better options. The city is also connected by metro-rail. Kingdom of Dreams: A famous entertainment, theatre and leisure destination, located in Sector 29, Gurgaon. Sultanpur bird sanctuary: 15 kms from Gurgaon. A wide variety of migratory birds can be spotted here, especially during winters. Shopping Malls: Ambience Mall, MGF Metropolitan, DLF City Center Mall, and Sahara Mall. How are you? : Aap kaise ho? Roux-en-Y Gastric bypass surgery in Gurgaon, India is available at our quality network hospitals at very low prices. Please fill out the quote request form on the right for more details.